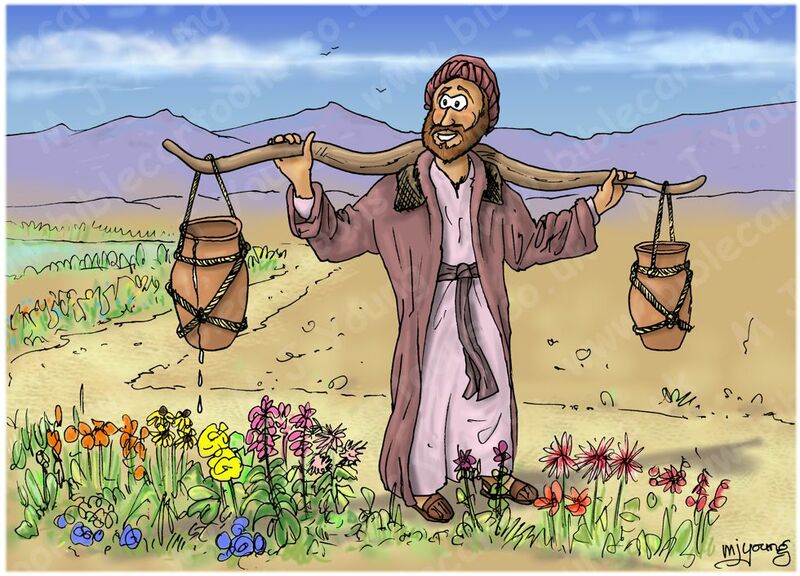 A water bearer had two large pots, hung on each end of a pole which he carried across his neck. 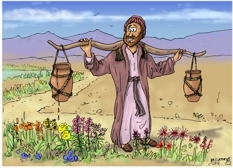 One of the pots had a crack in it, and while the other pot was perfect and always delivered a full load of water at the end of the long walk from the stream to the water bearer’s house, the cracked pot arrived only half full. This went on daily, with the bearer delivering only one and a half pots full of water to his house. Of course, the perfect pot was proud of its accomplishments, perfect to the end for which it was made. But the poor cracked pot was ashamed of its own imperfection and miserable that it was able to accomplish only half of what it had been made to do. After a long time of what it perceived to be a bitter failure, the cracked pot spoke to the water bearer one day, by the stream. “I am ashamed of myself, and I want to apologize to you”. The bearer asked, “Why? What are you ashamed of?” The pot replied, “For a long time I have been able to deliver only half of my load because this crack in my side causes water to leak out all the way back to your house. Because of my flaws, you don’t get full value for your efforts”. The water bearer felt sorry for the old cracked pot, and in his compassion, he said, “As we return to the house, I want you to notice the beautiful flowers along the path.” As they went up the hill, the old cracked pot took notice of the sun warming the beautiful flowers on the side of the path, and this cheered it somewhat. But at the end of the trail, it still felt sad because it had leaked out half its load, and so again it apologized to the bearer for its failure. Sermon/teaching theme suggestions: Each of us has our own strengths, but also our own “failures”, or what we might see as our flaws. We’re all “cracked pots”! God has so designed and ordered his world that nothing goes to waste. We may think like the cracked pot that we are inefficient or useless in certain areas of our lives but, in fact, these flaws can turn out to be a blessing in disguise.